Happy Easter, my friends. I just love Easter—it is absolutely my favorite holiday! The beauty of spring, new life, and most importantly, the message of this season and rock solid foundation of the Christian faith—Christ crucified, risen from the dead, and coming again—are all reasons I enjoy celebrating this special, holy time with my family. For our family, the main reason we have chosen to home educate is so that we can raise our children in the truth, grace, and love of Jesus Christ. We want them to become His followers all the days of their lives. The Easter season is full of opportunities to demonstrate and share with kids about forgiveness and eternal life that God has made available to all through Jesus. I would like to share some ideas and resources that I use for teaching about Easter with my own children, youth at church, and other kids’ with whom I come in contact or have connections. Click here for a link to recipes for Deviled Eggs 4 different ways. 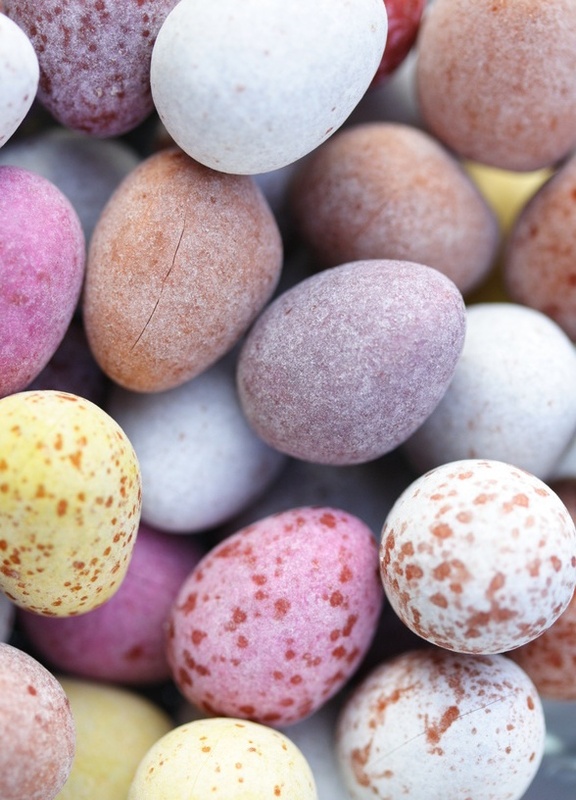 You know, it is often hard to compete with the culture and the commercialism of the season—the Easter bunny, egg hunts, gifts, and baskets, etc. While we do dye eggs the night before Easter and give our children a basket of small treats and candy on Easter day, we seek to emphasize the sacrifice of Jesus and His resurrection for the forgiveness of our sins. One year, when my daughter was still quite young, I was thankful that my mother had given me a book for Easter titled Family Celebrations At Easter by Ann Hibbard. The activities, devotions, and stories in this book have helped my children to be excited about and learn so much concerning the true meaning of Easter. Each year, as the Easter season approaches, we pull this book out, decorate an Easter tree with the paper ornaments from the templates in the book, and anticipate Resurrection Day! Another book, which actually was included as part of our homeschool curricula this year, through My Father’s World, is titled Celebrating Biblical Feasts in Your Home or Church by Martha Zimmerman. This year, we have been learning about and celebrating the seven Jewish feasts. By recreating and taking part in these feasts, Jesus’ teachings and spiritual truths are coming alive. The activities, stories, and meals are obviously hands-on, visual, and engaging all the senses. – Matzah game—After our family Passover/Sedar dinner, we take the middle piece of matzah (there are 3 in a linen napkin placed in a bread basket on the table) and we hide it. The kids have to find the matzah; we talk about how the 3 pieces represent God the Father, the Son, and the Holy Spirit. We talk about how Jesus, the Son, was whipped, pierced, and crucified for us—so we inspect the lines and holes in the matzah. While the matzah is hidden, it represents Jesus being in the tomb; but when it is found, it represents Him being risen! My kids have come to really look forward to this game every year after the special, Passover meal! – Take a nature walk and look for signs of spring and new life such as birds, flowers coming up, trees budding etc. Also, collect some rocks and connect these with Jesus praying in the garden and how He willingly chose to be obedient to the point of death, for our sins. For each rock your child collects, have him/her talk about good choices they have made/can make. – Read the Resurrection story from the Bible or utilizing various published books (see book list below); have the children use Resurrection Eggs to retell the story. Resurrection Eggs can be purchased commercially here, or you can make your own with plastic eggs by placing various items (such as a crumb of bread, cross, strip of cloth, thorn, rock, and a piece of candy) in the eggs for visuals to correspond with the story. Here is a link with directions for making your own. – Joyful Snack—Make round, sugar cookies and decorate with smiley faces, crosses, or the word “JOY”. Give these away to friends, neighbors, or take to a shelter, hospital, or nursing home to share with others who need to hear the joy of the Easter message. Peter’s First Easter by Walter Wangerin Jr. Enjoy! 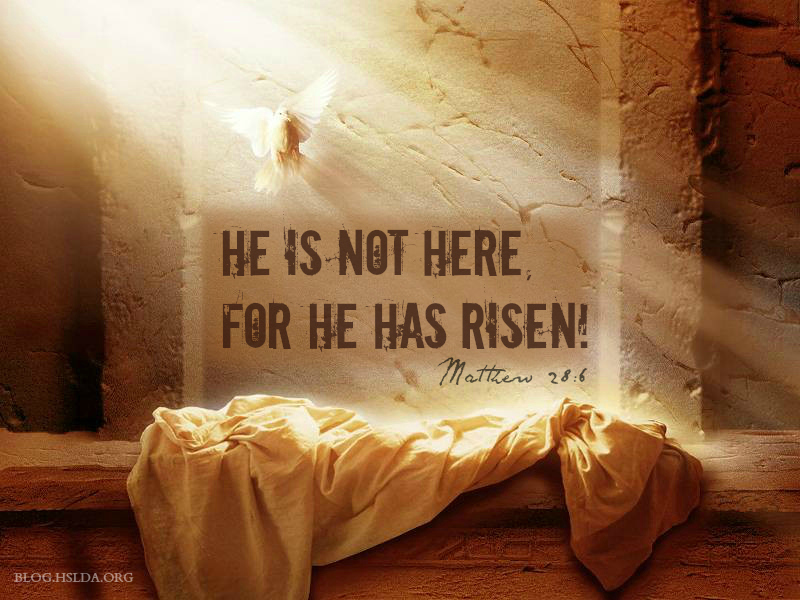 Have a blessed Easter celebrating that Christ, our Passover Lamb, is Risen! Photo Credit: All graphic design by Charity Klicka.